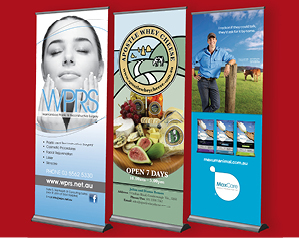 Full vibrant colour digital graphics will transform any business. 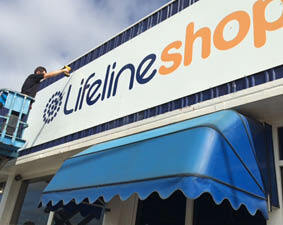 Tell the world who you are with a custom outdoor sign that highlights your presence while promoting your company’s unique brand and identity! 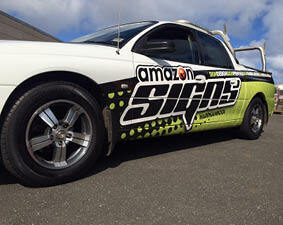 Printed in vibrant colour digital graphics will transform your car, truck or entire fleet. "One Way Vision" technology enables us to cover your windows with graphics without obscuring driver visibility. The flexibility of new solvent cast materials enable us to cover the panels of your vehicle in a partial digital "wrap". Magnets are great for temporary application. 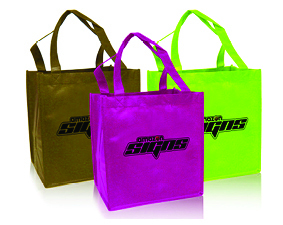 Customise vinyl lettering, logos and graphics to suit any vehicle specifications. 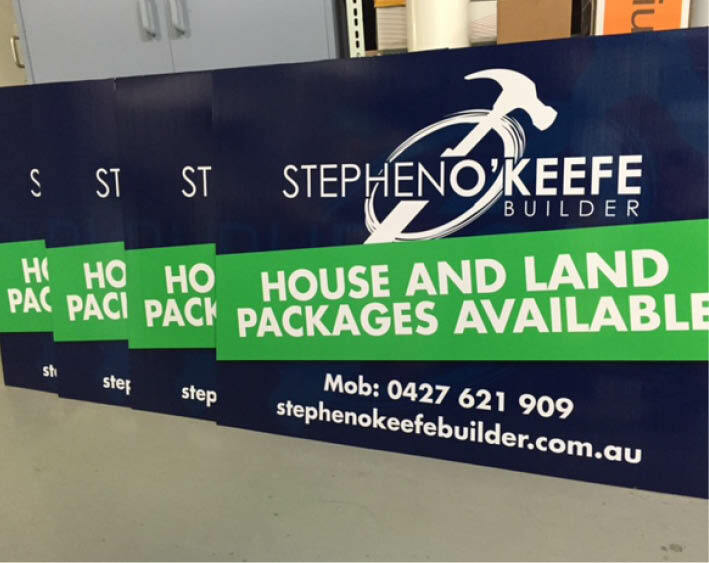 Designed for marketing and perfect for the tradie, our signs are printed straight onto corflute in UV resistant ink. AmazonOnline - Where to get Corflute Signs printed! FREE DELIVERY! Creation of print ready, professional artwork by one of our talented designers. AmazonOnline - Where to get Promo Items printed! FREE DELIVERY! Copyright ©2019 Amazononline. All Rights Reserved.